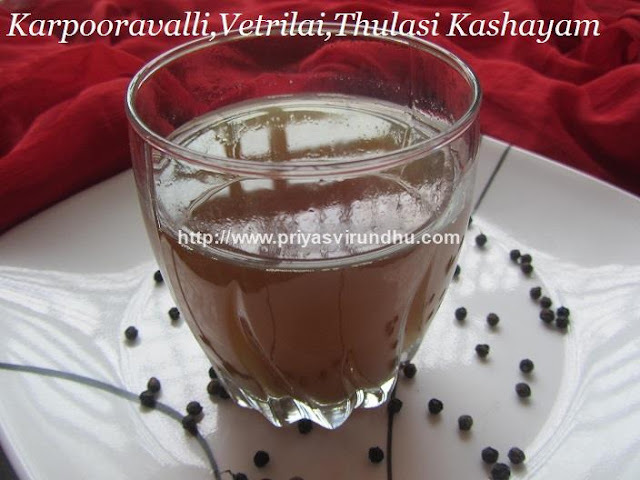 Karpooravalli Kashayam is an excellent home remedy for cold and cough. Kashayam is the term used in TamilNadu by our ancestors to treat cold, cough, fever, headache etc. 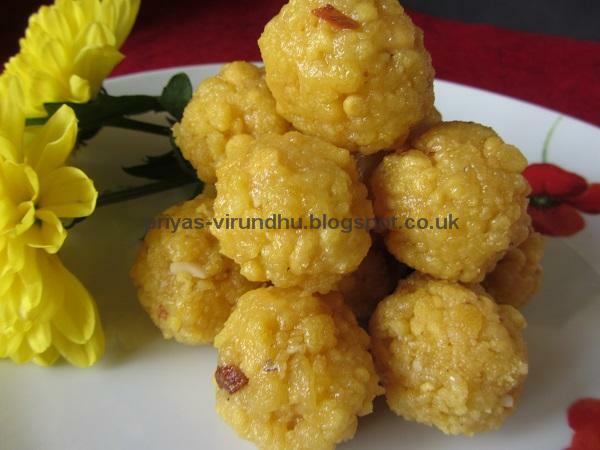 I have already posted a different version of Karpooravalli Kashayam prepared with Thulasi andVetrialai, do check it out as well. Kashayam is usually prepared by boiling water with herbs and boiled until the water reduces to certain extent. Do try out this kashayam and take it when you have cold & cough. Karpooravalli Kashayam is an excellent home remedy for cold and cough. 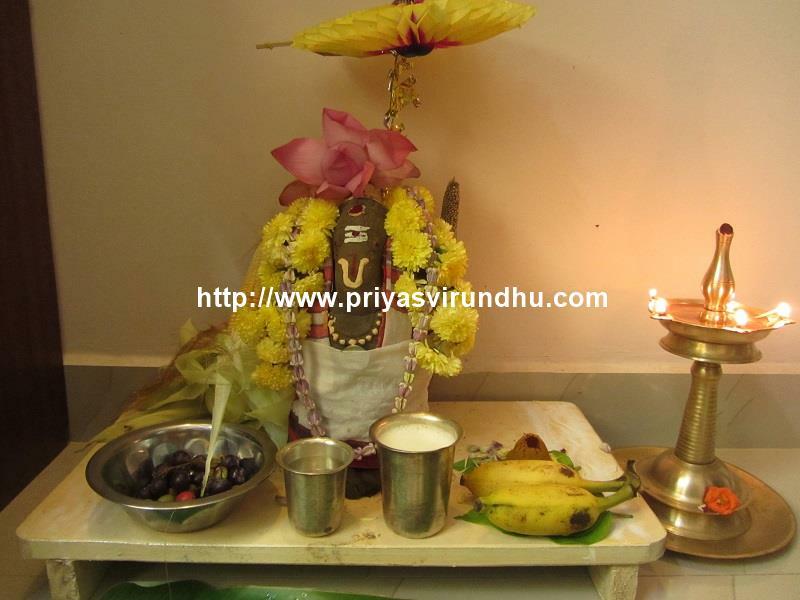 Kashayam is the term used in Tamilnadu by our ancestors to treat cold, cough, fever, head ache etc. Kashayam is usually prepared with herbs at home. They are prepared by boiling water with herbs and boil it until the water reduces to certain extent. 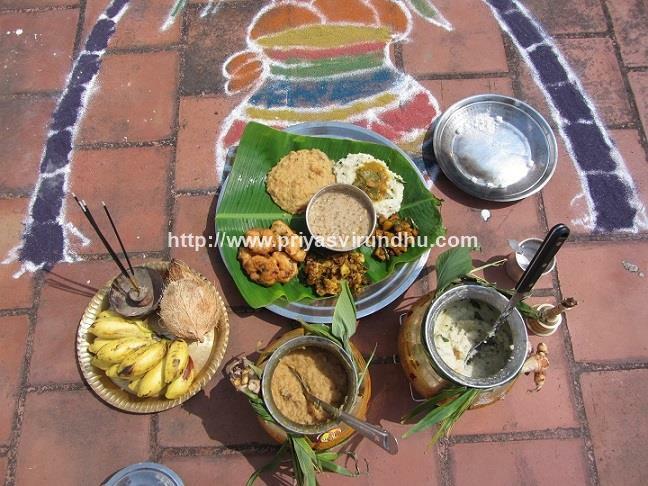 In this kashayam each of these leaves used have their own medicinal values and benefits. Karpooravalli Leaves are used to treat common cold, cough, sore throat, nasal congestion, indigestion rheumatism and so on. Betel Leaves/Vetrilai is an excellent ailment for sore throat, improves digestion, anti inflammatory, helps in treating respiratory problems, relieves cough etc. Next is tulasi helps in relieving fever, improves respiratory disorders, great source of Vitamin K, relieves head ache, is used in treating bronchitis, asthma etc. Tulasi is also called as “The Queen of Herbs” because it has numerous medicinal values and benefits. Having said all this, my simple advice to all my friends is to have all these three plants in your balcony or in your back yard, this actually means you have your doctor at your home. I have these plants at home friends, so do try to plant them at your backyard as well. Karpooravallli(Tamil) otherwise is called as Country Borage plant. It has lots of medicinal benefits. The karpooravalli leaves are used for treating common cold, cough, sore throats, nasal congestion, indigestion, rheumatism and so on. The leaves of karpooravalli plant are quite fleshy and very aromatic. These leaves are very good source of vitamins and minerals. Karpooravalli plants are easy to grow and maintain. Cut a small piece of the plant from where it is available and plant it in soil with ample amount of water. It will grow and spread faster. 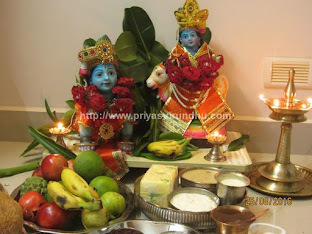 I have karpooravalli plant in my balcony and I have made different recipes with it. 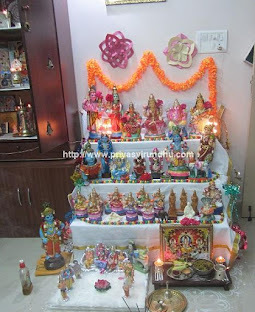 For now I will share with you all a simple and aromatic Karpooravalli Thuvaiyal. 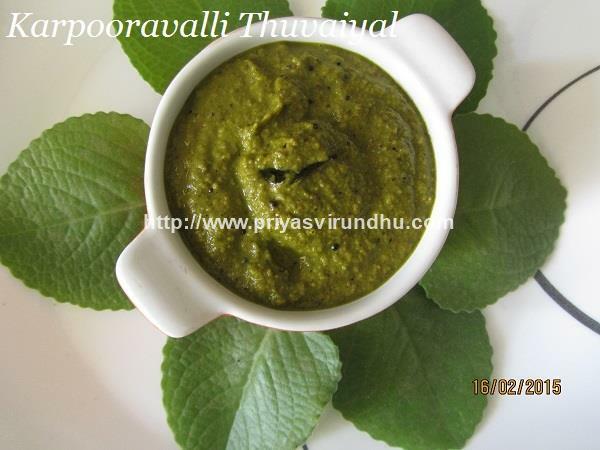 Do check out other delectable chutney and thuvaiyal varieties here.